Each final piece is typically the size of three soccer fields, if not more. 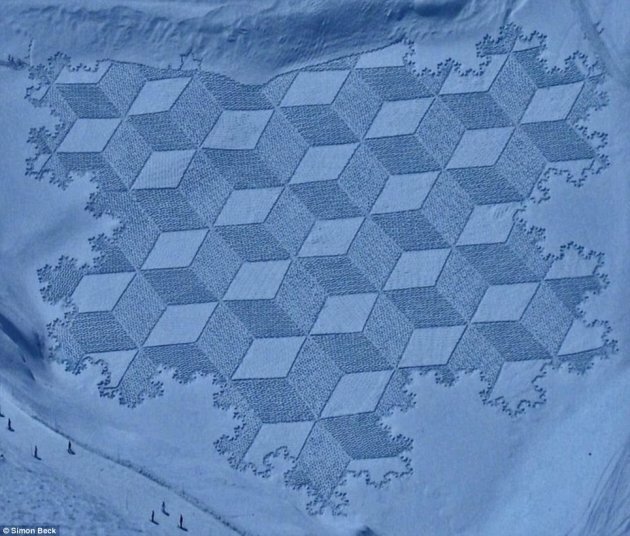 His main focus is on mathematical geometric forms which usually create a stunning 3D like effect when viewed from high altitudes. As you might have guessed, the survival of his work solely depends on the weather. 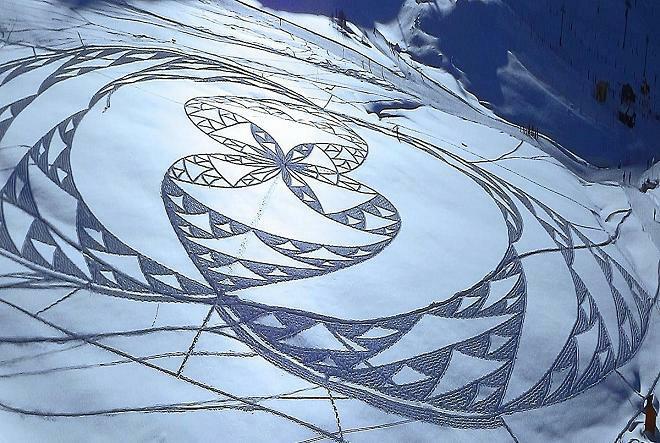 Beck tries to redesigns the patterns as new snow falls. Making a snow angel is easy. 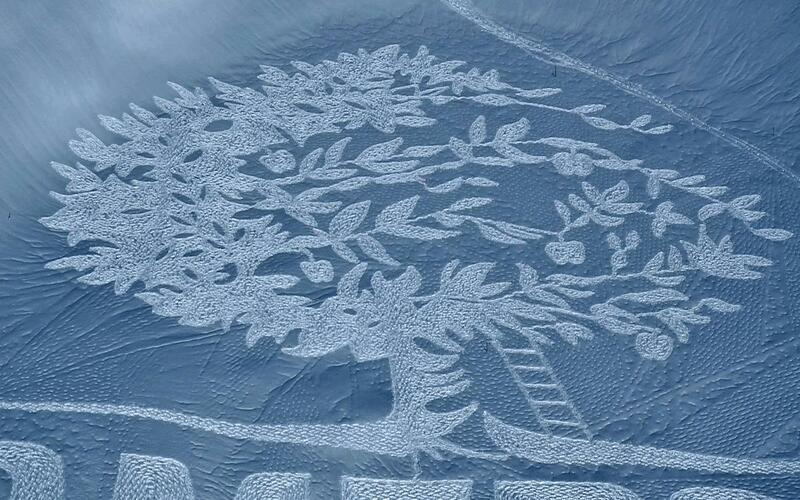 Try making a snow dragon like the one Simon Beck created! This snow lizard was seen in Yakutsk, Siberia. 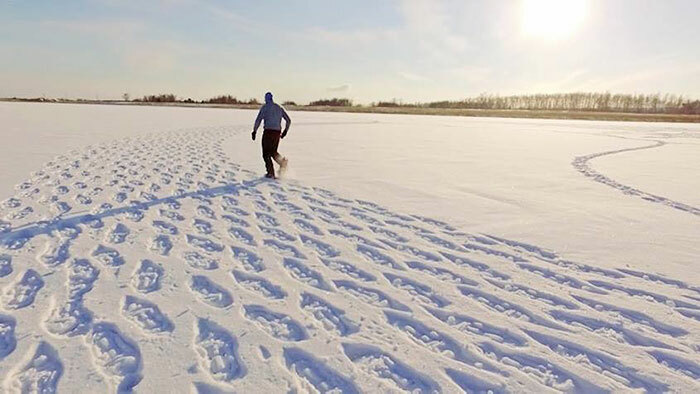 Beck, an orienteering fan, uses snowshoes and compass to make all of his creations. The dragon was made for a movie called "Drakony". Sometime luck does not go his way and he is often unable to finish a piece. But that doesn't get him down, the main reason of his art is exercise! Apart from creating snow art, some of Back's personal interests are orienteering, bell ringing, walking, skiing, mountain biking, running, and surveying. We really think Simon's work is inspirational and unique. 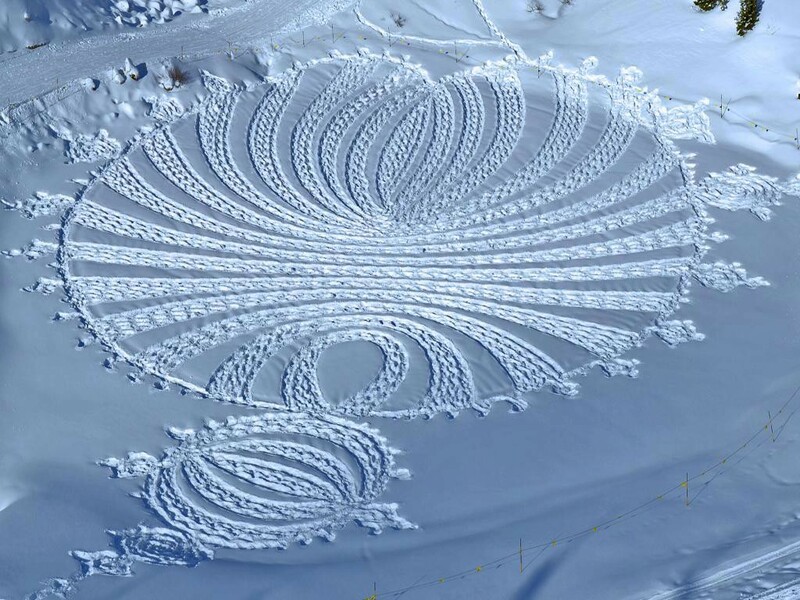 Beck came up with the idea of making snow murals when he was tired after skiing one day, but still wanted some exercise (for his orienteering). He went outside and walked on a lake until he had created a fabulous star. Beck begins from the center of the would-be mural, uses a compass to plan out points and straight lines. He says that curves need the most practice. At different times during the day, his creations will look different. It's just hard to believe that he spends countless hours making these amazing pieces of art, only to know that they will be gone from this world within a matter of hours or days.